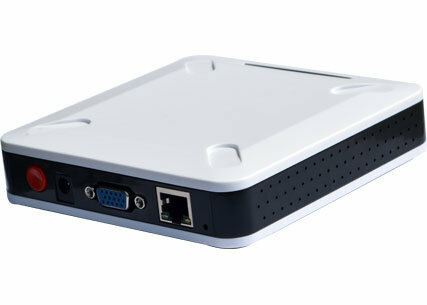 There are plenty of Android TV Boxes or HDMI TV dongles based on Rockchip RK3066 or RK3188. 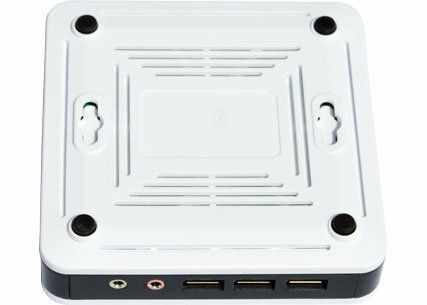 What makes Giayee P105 computer different is that they completely got rid of the HDMI port and replaced it with a VGA port, and the mini PC, and they also added mount option to attach the device to a wall or the back of your monitor. There are two versions of Giayee P105: P105-D with a dual core RK3168 SoC, and P105-Q with RK3188 quad core processor. Power Supply – 5V/2A. Typical power consumption: 2 to 5 Watts. This ARM computer supports both Android 4.2 and Ubuntu 12.04, and the company advertises it as a thin client too with support for RDP 8.0, and RemoteFX. Giayee P105 price is said to start from $49, but the product is not available for retail just yet. You can find more information on Giayee Technologies’ P105 page. where I can buy one? or is there any email for a inquiry? You can go the website linked at the end of the post, and contact them from there. As I know, rockchip 3168 use powervr, while 3066 and 3188 use mali GPU. the reasons is unknown. And i have a question, is the powervr is better than mali considering on the performance and linux support ? “linux support” – nonexistent for ANY ARM SoC. Seems that this company produces nothing except announcements.